You must make reservations at least 5 minutes in advance of the time at Joe's American Bar and Grill - Boston. Monday - Friday: 7:30 a.m. - 1:00 a.m.
Saturday and Sunday: 8:00 a.m. - 1:00 a.m.
Joe's at Newbury is located in the heart of Back Bay. 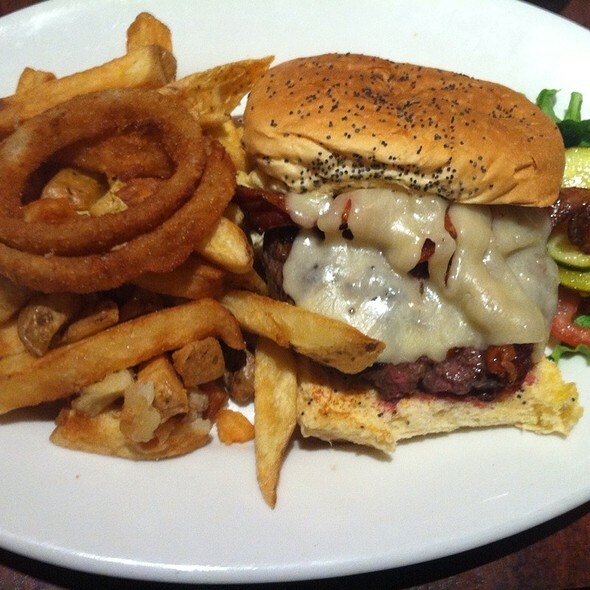 For more than 30 years, Joe’s American Bar & Grill has stayed true to its roots. From our kitchen to your table, each dish we serve is New England inspired, made from scratch, and always tailored to your taste. 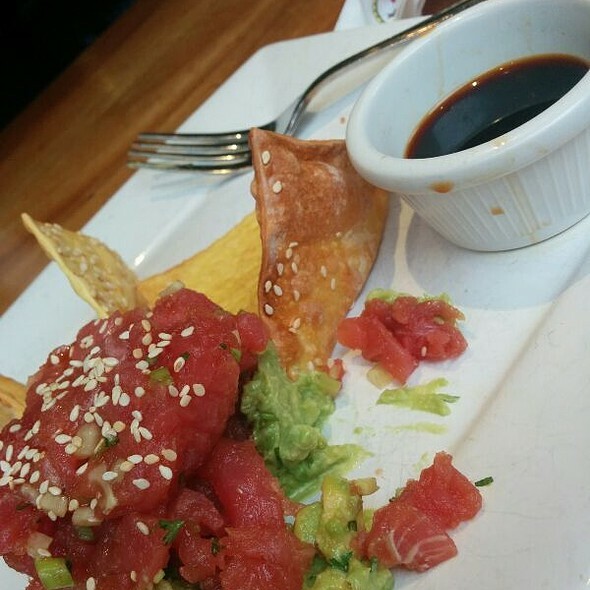 At Joe’s, it’s not just a meal, it’s an experience. Join us for a special Mother's Day weekend. Show your appreciation with a freshly prepared meal of elegant flavors and indulgences made with her in mind. Reserve now! Join us for an epic Father's Day weekend. Honor Dad with savory flavors and sweet treats expertly crafted to make him feel loved. Reserve now! Yes, because we like the atmosphere and always go there for Easter brunch with friends. The food was fine, though my omelette was cold, dry, and bland. My husband's food was also cold, as were the English muffins. 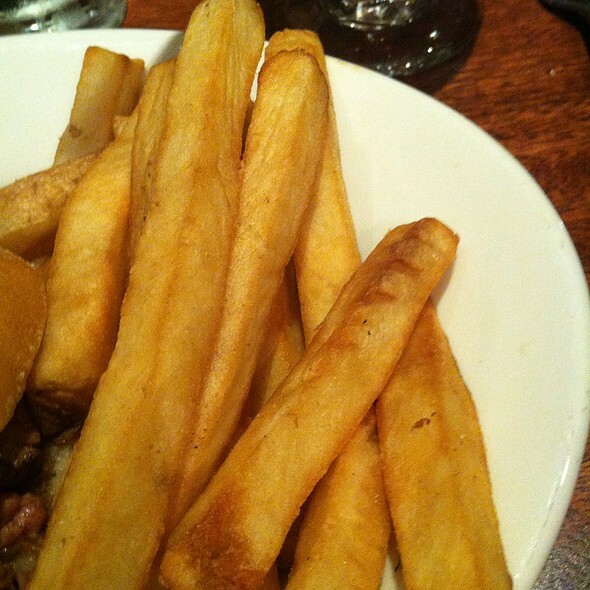 The potatoes/fries were vaguely warm but very wonderfully spiced. Other dishes were minimally fine, average, but the place itself is always festive and fun. The service was fine, but I wish the food had been better, as it used to be years ago. Please bring back decent, hot, food! Fish tacos where great. We also enjoyed the spinach dip. Live this place and dine here often. Disappointing today as I had family in from out of town and they were out of all lobster and crab dishes. Very accommodating of gluten free allergy. I loved sitting on the patio. I appreciated being able to eat gluten free safely. GF bun fell apart but tasted good. Server was in a big rush to get us out (even though she gabbed with the table across from us long and frequently). She brought our check before asking if we wanted dessert and we had to awkwardly (and somewhat apologetically) ask her if we could possibly order dessert after which she had even more of an attitude. Food good, service terrible. Still one of my favorite places, but slipping. The noise level in the downstairs dining and bar area was almost at the point where I walk out. Get some sound deadening installed. I could barely converse with the person on the other side of the table. Ate here the Saturday before the Boston Marathon and thankfully had a reservation. Seated exactly at res time which I thought would be impossible considering the crowd waiting for tables. Food and service were excellent !! Amazing gluten free nachos!!! Great with allergies. I was in Boston for 1 night and staying nearby. It was a great spot for dinner. 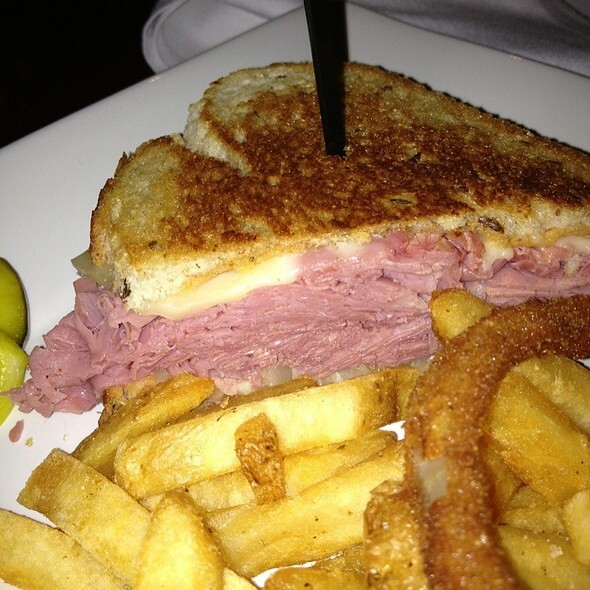 The food was very good, the prices were reasonable and the service was excellent. the reservation process through opentable was perfect! I showed up to restaurant about 1/2 hour before our reservation to confirm and we were assured our table for 9 would be ready. we walked in at our reserved time and were immediately brought to our table. the waiter's name was Yoshi and he was a perfect waiter; attentive, not overly hovering, brought food quickly, recommended great choices, overall, the perfect dining experience. the Fish and Chips was outstanding, the Cure burger was ridiculous but the perfect choice for my son, the ribs were outstanding, the salads were huge and perfectly made. It was a great night, a great experience and the restaurants ambiance, albeit loud, was the perfect compliment to our exuberant party. Would definitely come back again when in Boston and recommend to friends! thanks for a great experience! Was not a fan of the food. I realize Caesar dressing is made with anchovies but their dressing tasted so fishy! 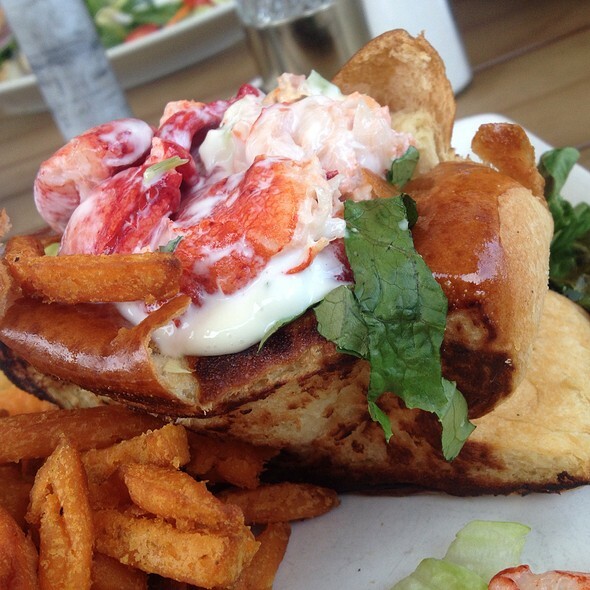 I ordered a lobster roll (whose description said in a butter herb sauce). Instead, the lobster roll came cold, and the lobster was tossed in mayo and was chewy (not how I like my lobster roll). I will not return. The clam chowder was good and comparable to similar tier restaurants in Boston. The burger was cooked to the correct temperature but was very basic in terms of toppings, just the basic lettuce, tomato, and onion. There should have definitely been more toppings for the money, even just a couple slices of bacon would do. 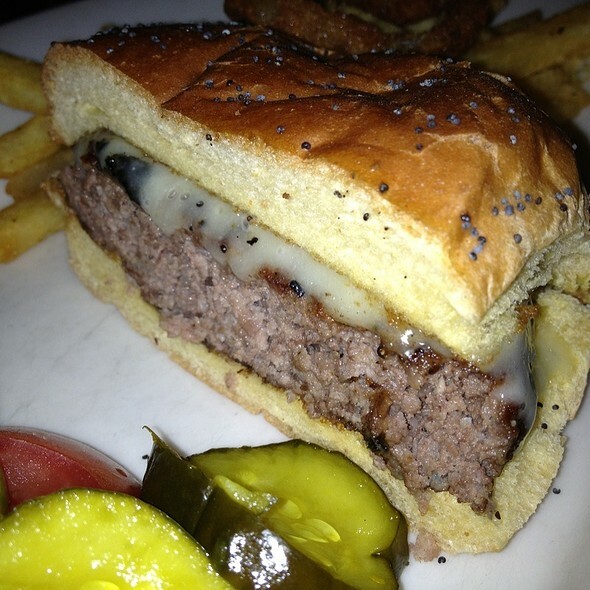 Sure the idea of a 10oz burger is appetizing but without flavorful toppings it becomes bland half way through. Restaurant was just ok. Sweet Potato fries were good, ribs needed more sauce, and Caesar Salad was bland. Server was pleasant, nothing to write home about. Food was amazing came out nice and hot. Waiter was very kind and helpful towards the occasion we were celebrating however, he only came over once after taking our order. 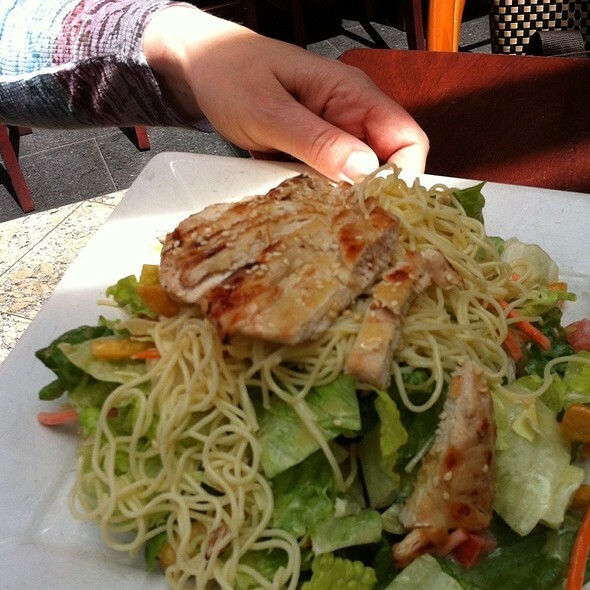 Love the bread and Grilled Honey Chicken Salad. Also, the NY strip is good- but more expensive then other same type of restaurants. Had lobster fretatta for brunch and it was bangin! Hostess was very nasty! She gave us attitude even though we had a reservation. Once we were seated everything was great! They were really great about multiple food allergies/sensitivities. They work with the kitchen to confirm potential cross contamination and prevented someone in our party from an exposure! Something on the menu for everyone. Reasonably priced and nice atmosphere in the bar area. The food was great. Very good service and environment is awesome. My son had s great birthday dinner with friends! Thx! This was a great place to hold a dinner for ~10 people. There was plenty of space and our table was ready on time. I made a reservation here on Open Table. On arriving, I was ignored at the host stand by the one employee there. After a ten-minute wait, I was asked if I wanted to a seat at the crowded loud bar or a table. Why does a person make a reservation. On getting ready to leave, I stopped in the men's room. I understand it was later in the evening, but it was gross. Used paper towel all over the floor, supplies not present, filthy floors. I will never return to this place. Great night with the family. Our service was excellent! I am always impressed by the service at Joes American. 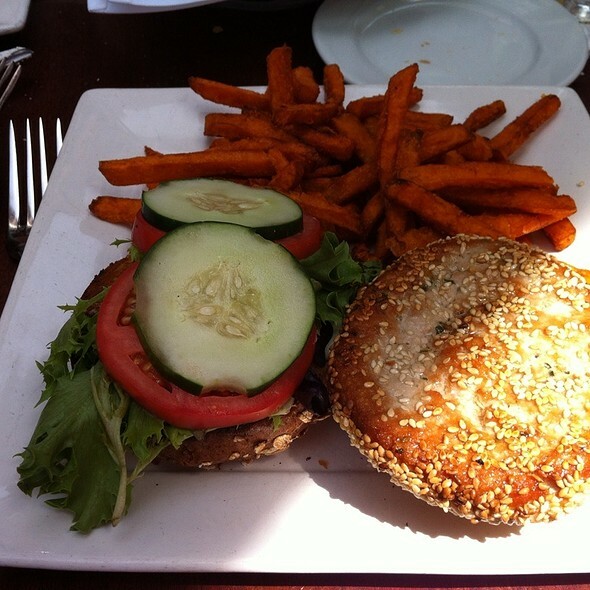 The food is always very good - salads and burgers are our usual. This was our second time at this location and were a little disappointed by the food. 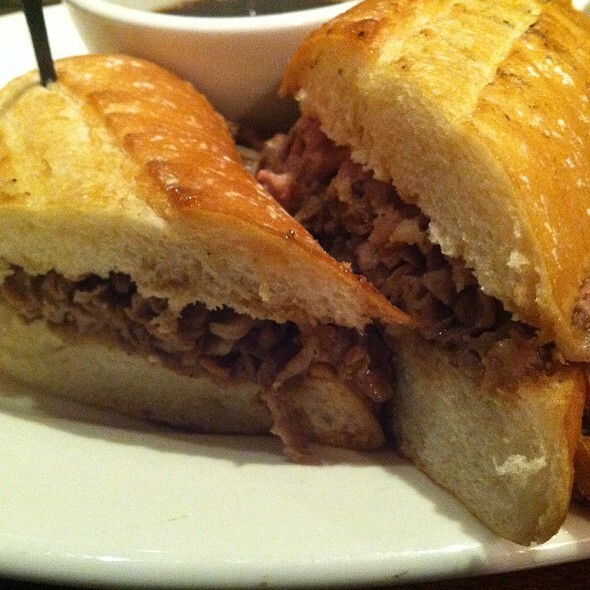 The French Dip was barely warm and the au jus was watery and bland. I would not recommend. We had a lovely family dinner and everything was wonderful. Joe's is our go to family restaurant. Service was slow to start.